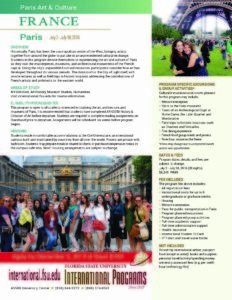 International Programs at Florida State is currently offering a Paris Arts & Culture summer program from July 2nd-July 30th. 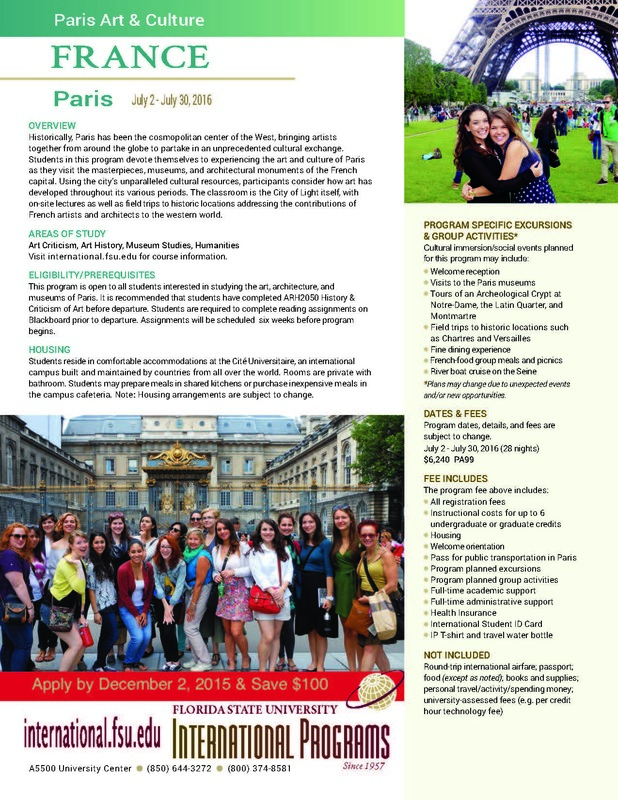 While the students are there they will be learning about art criticism, art history, and museum studies all while experiencing Parisian culture! See the flyer for more information and if you have any other questions please feel free to contact their office at 850-644-3237.